You’ve got big plans for your life. One day, your money will be in all the right places, and the doors of possibility will finally swing wide open. But you don’t have to wait 30 years to enjoy all that life has to offer. A budget puts the power of possibility in your hands today. Make your dreams happen sooner with these easy tips. EveryDollar fan Kaitie W. uses this simple trick to add oomph to her money goals. “We do our budget and then take $2 from each category (groceries, clothes, pocket money, etc. ),” she says. Some months they subtract more, others less. The amount doesn’t really matter. It’s what they do with that extra money that counts. In Kaitie’s case, they use it to pay down debt and never even feel the pinch. Can small changes really make a difference? Consider this: You could pay off a $10,000 student loan two years early just by throwing $20 on top of your minimum monthly payment. Budget the dollar amount you expect to spend in each category. Shop around for the best deal on purchases, big and small. Combine what’s left from all categories. Apply your savings to a big money goal. Got an extra Benjamin Franklin at the end of the month? Investing it in good growth stock mutual funds could give your retirement fund a $200,000–300,000 boost over 30 years. Who said leftovers have to be boring? The average tax refund came in just under $2,800 last year, according to the IRS. It’s easy to look at that chunk of change as a government bonus and splurge it on something big. But here’s the thing: That money was yours all along. You simply overpaid your taxes. Why not put those dollars back in your paycheck and budget them to your advantage year-round? Just think about the progress you’d make if you had $200 more to work with each month. Adding it to your monthly mortgage payment could knock more than a decade—and $40,000 in interest—off a $150,000, 30-year mortgage. Try to get your refund as close to zero as possible by adjusting your tax withholdings. It’s as easy as completing a new W-4 form at work. Life with no debt—not even a mortgage—and a healthy nest egg might feel light-years away. But remember, you’re the boss of your budget. If you want to bring that freedom closer, simply make a few changes. 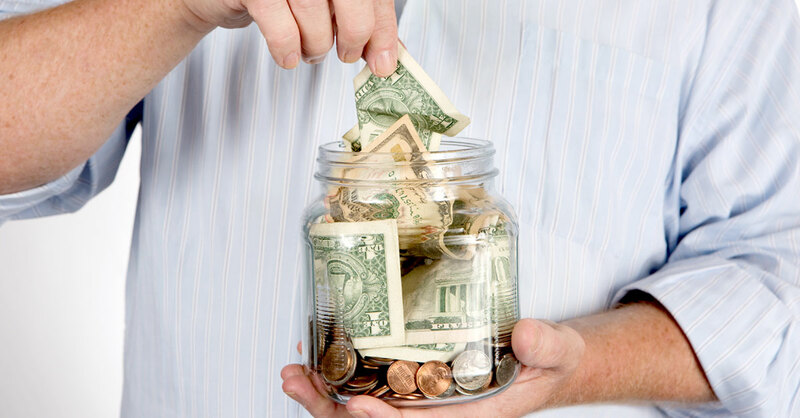 You can try these budget tips or experiment with a few of your own—whatever works for you! There’s no right or wrong answer as long as you and your money are headed in the right direction.